On this episode of DTB’s “Bus Invaders”, we take you inside the touring vehicle of the melodic metalcore band, Farewell Winters, while on Warped Tour 2018. 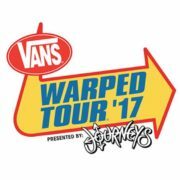 The annual summer festival tour, Vans Warped Tour, has announced the full lineup for this summer’s trek. It will include Atilla, CKY, Andy Black, Neck Deep, GWAR and many many more.